Shiite militia forces ran for cover on Saturday in an Iraqi offensive against the city of Hawija, the last Islamic State stronghold in Iraq. KIRKUK, Iraq — Thousands of Iraqis have been fleeing Islamic State-controlled territory to the safety of Kurdish areas in northern Iraq, driven by a military offensive to retake the city of Hawija, the extremists’ last major stronghold in the country. The refugees’ reception in Kurdish-held areas was an indication that vital cooperation between Kurdish pesh merga fighters and the Iraqi military was continuing, at least on some level, despite the festering dispute between Iraq and the Kurds over the latter’s recent vote favoring independence. According to Kemal Kirkuki, the commander of the pesh merga in the area west of Kirkuk, an estimated 3,500 Iraqi civilians had been allowed to cross Kurdish front lines from areas held by the Islamic State, also known as ISIS, in Hawija on Friday and Saturday. An additional 1,000 were expected on Sunday, pesh merga officials said. 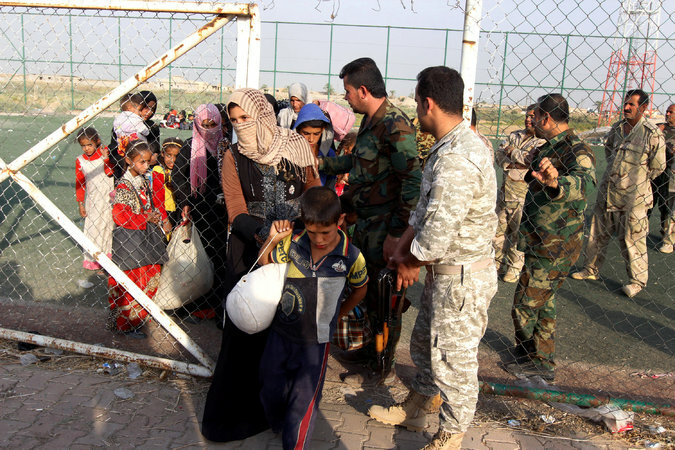 Kurdish officials have provided camps in Kirkuk Province to take in the refugees after screening them to ferret out any Islamic State militants who may be among them. Kurdish pesh merga fighters helped people who had fled Hawija as they arrived on the outskirts of Kirkuk, Iraq. 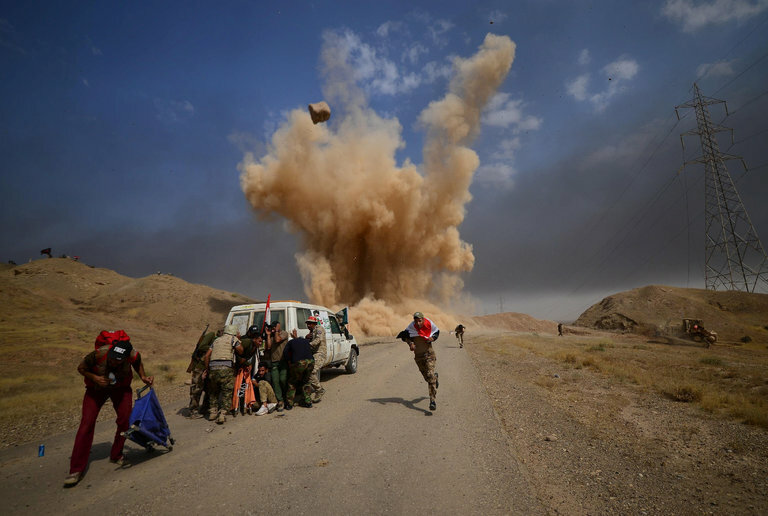 The Iraqi Army and the police began an offensive on Sept. 21 to retake Hawija, which lies close to the Kurdish-held, oil-rich city of Kirkuk and has a largely Sunni Arab population — and where the Islamic State has found many supporters. While the Kurds did not actively participate in the offensive, they said they would maintain defensive lines and prevent Islamic State forces from escaping. By facilitating the flight of refugees from the area, the pesh merga has removed a potential humanitarian disaster from the battlefield.